In analyzing the mess from the mud-slinging over Donald Trump’s taxes, we can arrive at five reasonable conclusions. Of course, I am referring to the controversial publication of Mr. Trump’s 1995 New York state tax return by The New York Times. The newspaper published his confidential information after a reporter said she found it in her mailbox. It resulted in the political mudslinging portraying Mr. Trump as a financial predator. The political reporters either conveniently overlook specifics in the tax code or they simply are too naive and don’t understand the tax code. The tax code is written so that the government partners with business — either in the sharing of operating profits or in the sharing of operating losses. The government has no basis in which to tax an operating loss. The New York Times and its reporter, Susanne Craig, committed a felony — yes, a violation of federal law and risk jail time. The same should be true for the IRS or state employee who violated Mr. Trump’s rights. By violating Mr. Trump’s rights to privacy, The New York Times clearly violated a federal law. Not to mention the New York state or IRS employee who divulged the information to the reporter. In a suspiciously biased fashion, the article concluded Mr. Trump’s $916-million loss might have allowed him to legally avoid paying income taxes for nearly two decades. Clearly, by drawing such a conclusion in such biased language, the newspaper crossed the line of objectivity. The rest of the news media was largely silent about the newspaper’s illegal report. This bias gives credence to Mr. Trump’s claims about liberal-media bias. Worse, the media continued to pile on Mr. Trump. For instance, CNN’s headline: Trump running out of time as controversies pile up. The New York Times has been critical of Mr. Trump and others for the same business practices it uses. The paper ran an editorial-board Op-Ed ridiculously claiming that businesses that follow the U.S. tax code are unpatriotic. The Op-Ed also undermines The New York Times’ credibility from its hypocrisy. According to Forbes – The New York Times has avoided paying taxes and has used other dubious practices it deplores. Simply put, according to the tax code: If a person or business loses money, it does not owe taxes. 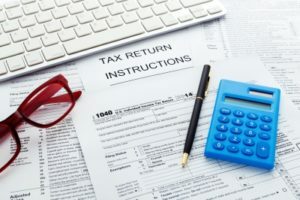 The tax code also allows if a business loses money one year and makes the same amount of money the next year or in following years it can legally offset the loss. Why? Such a business has experienced a net operating loss and ultimately the business broke even. That’s how a Mr. Trump can comply with the law. Mr. Trump has correctly contended that the system is rigged in favor of the wealthy. That includes the complex tax code. Lobbyists of all stripes have successfully persuaded members of Congress to legalize countless deductions. Of course, virtually all members of Congress have benefited the lobbyists campaign donations. Entrepreneurs have heavy risks and possible great rewards for their efforts. While businesspeople have it rough, they also have the luxury of a sympathetic tax code. That is unless the person’s business is not profitable and has too many write-offs, which is very painful. But Mr. Trump’s knowledge of write-offs are the very reason why he’s best equipped to fix the tax code.